What is the meaning of life? In today's secular, post-religious scientific world, this question has become a serious preoccupation. 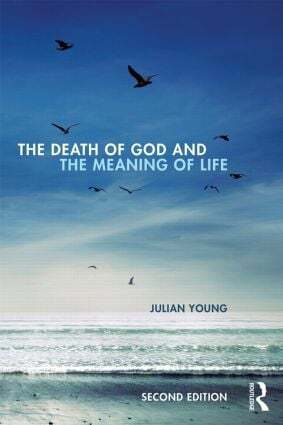 But it also has a long history: many major philosophers have thought deeply about it, as Julian Young so vividly illustrates in this thought-provoking second edition of The Death of God and the Meaning of Life. Three new chapters explore Søren Kierkegaard’s attempts to preserve a Christian answer to the question of the meaning of life, Karl Marx's attempt to translate this answer into naturalistic and atheistic terms, and Sigmund Freud’s deep pessimism about the possibility of any version of such an answer. Part 1 presents an historical overview of philosophers from Plato to Marx who have believed in a meaning of life, either in some supposed ‘other’ world or in the future of this world. Part 2 assesses what happened when the traditional structures that give life meaning began to erode. With nothing to take their place, these structures gave way to the threat of nihilism, to the appearance that life is meaningless. Young looks at the responses to this threat in chapters on Nietzsche, Heidegger, Sartre, Camus, Foucault and Derrida. Fully revised and updated throughout, this highly engaging exploration of fundamental issues will captivate anyone who’s ever asked themselves where life’s meaning (if there is one) really lies. It also makes a perfect historical introduction to philosophy, particularly to the continental tradition. Julian Young is William R. Kenan Jr. Professor of Humanities in the Department of Philosophy at Wake Forest University, USA. He is the author of 11 books, including Schopenhauer (Routledge, 2005), Friedrich Nietzsche: A Philosophical Biography, which won the Association of American Publishers' 2010 PROSE award for philosophy, and The Philosophy of Tragedy: from Plato to Žižek (2013).